Our window boxes needed a new set of plants after the geraniums eventually finished flowering a few weeks ago. This year I decided to try again with cyclamen to see if they would survive in the window boxes in a different location. These little plants can be a bit temperamental and can have a tendency to die if they don't like the conditions. 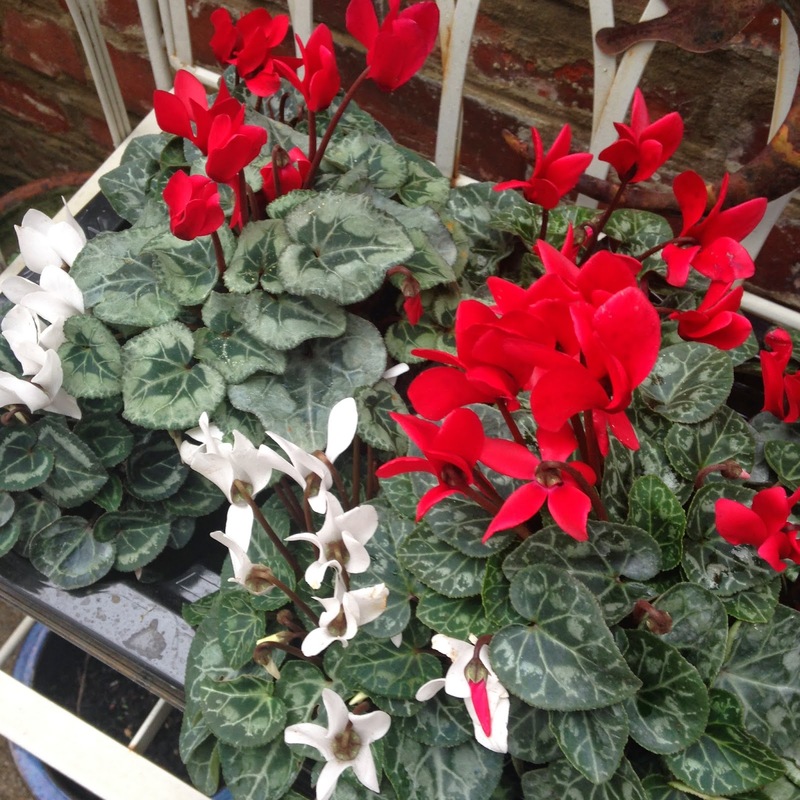 I went to our local garden centre and selected bright red and white cyclamen to fill our three window boxes. I love these colours together for winter flowers, they feel really Christmassy. I planted two red cyclamen and one white cyclamen into each window box, and added a few pieces of variegated ivy to each window box to add an extra element to the arrangement. Each morning I open the blinds in our lounge and see these window boxes, they make me smile from ear to ear. It's so lovely to have these flowers outside the front of our home welcoming people with a bright pops of colour. Over time I will add more potted plants and colour to our front garden but for this autumn and winter these window boxes are a perfect feature on our bay window.